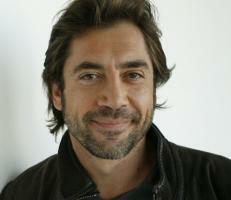 See the gallery for quotes by Javier Bardem. You can to use those 5 images of quotes as a desktop wallpapers. I've always said I don't believe in God, I believe in Al Pacino. The middle and working classes are paying the debt that the financial markets created. You know I don't like to talk about my personal life. Imagine the situation between Israel and Palestine. It's such a big mess. You can be on one side or the other. But what's clear is that there's an urgent need for a solution there and that's been dragging on for so long. 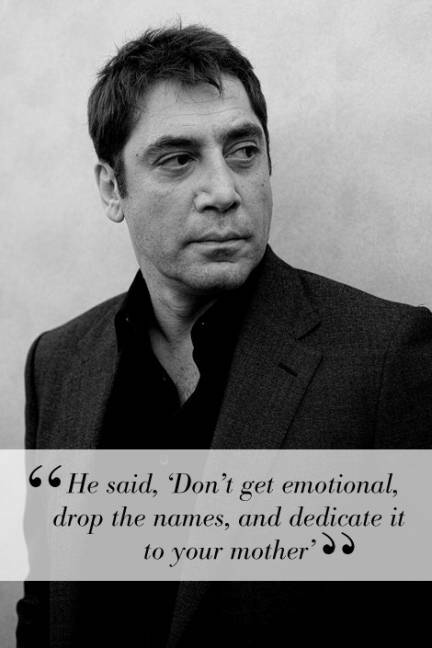 Much more quotes by Javier Bardem below the page. Bond is the longest-running franchise ever and there's a reason for that: they are action movies but they are also touched by current events without being political or too serious. But I remember the moment when my father died. I wasn't a very committed Catholic beforehand, but when that happened it suddenly all felt so obvious: I now believe religion is our attempt to find an explanation, for us to feel more protected. My concern is to continue respecting my work as I've done since I began as an actor and I could only do that if I'm strong enough to keep on doing what I think best in an artistic way. The personal thing is something I have never talked about. And I never will. That is prohibited. My job is public. But that's it. When you're not working, you don't have an obligation to be public. I truly thank whoever's up there for giving me the opportunity to be loved. People have been born in refugee camps and they are getting tired of that. Even in the darkest regions, people have discovered their right of freedom. I retired from rugby because I was old and getting really slow.